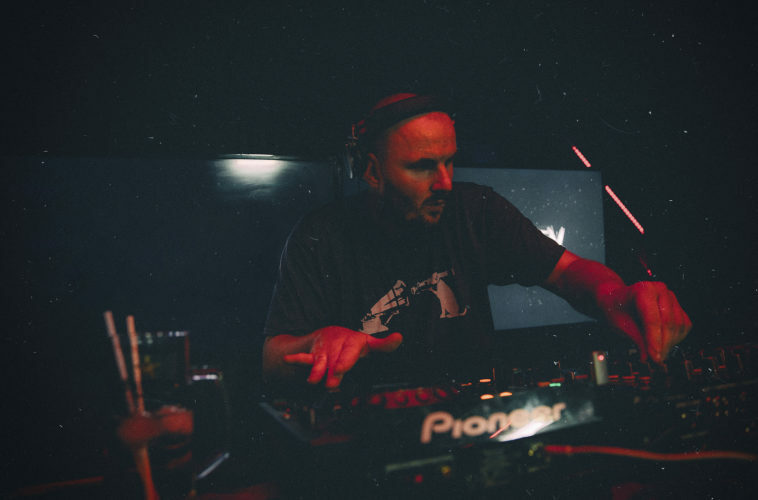 With a career spanning twenty years, Echoplex has cemented himself as one of the mainstays of the scene. Taking influence from the European, US and UK sounds, his style is something that’s hard to pin down, and is a state of constant evolution and re-imagination. We’re delighted to have him here on the Monument podcast, and we’ve sat down for a few questions ahead of his mix. 1. You’ve been making music for two decades now, and have released on several prominent labels. How do you feel your sound has developed over time, and how has working with different imprints impacted your work? My sound is still developing. It definitely went from just fun track making, hitting sounds randomly and twisting knobs to something more musical and structured. As far as working with labels, I used to concentrate too much to try to fit my music to a label. Whether it was Mosquito, Synewave. Nowadays I just make music and if it fits great, if not I’ll keep on making new things. Some labels give you a bit more opportunities then others, like showcases. What I enjoy the most is just making albums. 2. You’ve called many countries home over the years. How much of an influence do you think this has had on your musical output? Wherever you are, you carry on the vibe from the place into your music. When I was in Canada, the breeze coming from the ocean was putting me into a state of ambient trance, chilled like time doesn’t exist. In Poland, at home studio in the attic, making music with full family over my head, my techno used to be much softer. Now, Glasgow puts me into a a bit more furious rocker mindset and it definitely has a big influence on the musical output, it’s like making the music of the mood of this city, darker, crazier a bit more mysterious. Although I love this city, still hoping to move on. 3. September saw the release of your first double LP ‘The Solar Experience’. Was there anything in particular that inspired you to make the album and can you tell us anything about the process behind it? Not really was just feel of the moment, this was going to be just an ep at first, as the label didn’t want a full length. I had a release of couple tracks for another label ready, presented the tracks and we ended up adding them and making a double. Then came an idea of adding a remix, and we thought of Made up sound, to make this a bit more different yet fitting with the whole release. This wasn’t any inspired album from start to finish, yet the tracks somehow fit nicely into an overall pack. 4. The album is out on Canadian label Solar Phenomenon, can you tell us anything about the label and why you decided to release the album with them? It’s a new label, based in Montreal. I don’t mind working with fresh starting labels, if they are cool and have some good ideas. They asked me for music and we took it from there. 5. As someone who both DJs and plays live sets, how does your approach to them differ and which do you prefer (if you can choose!)? Playing live and djing is quite the same for me. I’m still jamming in the booth or stage, mixing things up, taking chances, experimenting. But I do prefer to play live as it’s always good motivation to make new music. 6. Finally, as the year is drawing to a close, what are your plans for 2018? Many plans. On different musical levels. Would prefer to keep it quiet for a while just not to make god laugh. Big thanks to Echoplex for the insight. Check out more of him at the links below.